There are several methods of increasing stitches when shaping your work. 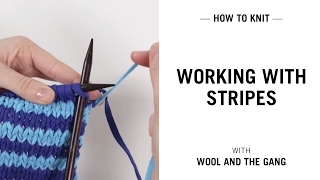 In this video we will show you how to increase into the next stitch by working into the back and the front of the stitch. Let's get going! Insert your right needle into the stitch, wrap your yarn as if to knit the stitch. Draw the yarn through to knit the stitch but do not slip the stitch off the left needle just yet. Bring the yarn forward, like you would to purl the stitch. Now take your right needle from right to left into the back of the stitch, bringing the needle forward ready to purl the stitch. 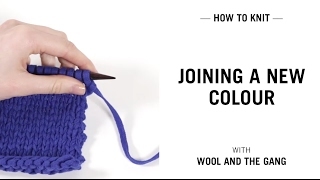 Wrap the yarn as if you were purling the stitch, then finally slip the stitch off the left hand needle. You have now increased by 1 stitch. So i have knitted and purled into this stitch because i am working in 1x1 rib stitch. Depending on what stitch you are working in you may want to just knit into both the front and back of the stitch.